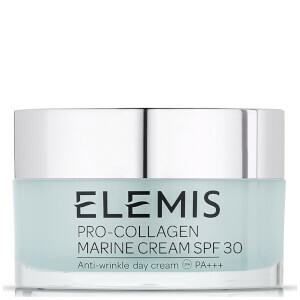 Elemis Pro-Collagen Marine Cream Ultra Rich anti-ageing cream is a deeply luxurious treatment for your wrinkles, fine lines, blemishes or skin breakouts. The anti-ageing cream has a rich texture and only needs to be applied in small doses to be effective. Massage the cream into your neck, complexion or décolletage to smooth out the deepest or most marked of wrinkles. 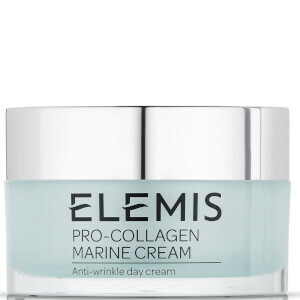 Elemis Pro-Collagen Marine Cream Ultra Rich cream uses the marine extract Padina Pavonica, which has been shown in trials to improve the complexion in around two weeks. In trials, Elemis’ anti-ageing cream has reduced the appearance of wrinkles by 78% and improved the skin’s hydration by 45%.